Snaz is a live album by Nazareth. It was recorded at the Pacific Coliseum in Vancouver, Canada in May 1981. 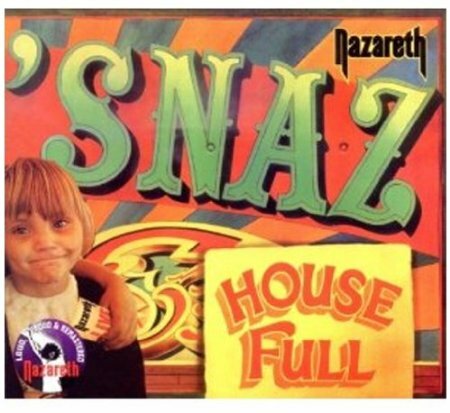 The title was supposed to be “It’s Naz” but the artwork made it look like Snaz because of the way the words were spread over the front and back covers. Nazareth were slow to release a live album although there is a BBC In Concert recording that dates back to 1973. Is this the best live album by Nazareth? This entry was posted in 1980s Live Albums, Heavy Metal Live Albums and tagged 1980s hard rock, 1981 live albums, heavy metal 1981, Nazareth Live Albums by Paul Simister. Bookmark the permalink.